After the completion of race six in the 10-12 knot sou'easter, Harry Melges' Star and crew Andy Burdick, Jeff Ecklund and Federico Michetti, sailing for New York and Lauderdale yacht clubs, are lead boat and have created some breathing space. The Derbyshire Youth Sailing annual Peak Dinghy Spares Series prize-giving for the 2013 season has seen 15 year old Josh Haynes receive the Derbyshire Shield for the third consecutive year as he was crowned Overall Derbyshire Champion once more. For Seeger, Years of Singing and Sailing to Save His Hudson River - NYTimes.com: "... In the late 1960s, Mr. Seeger raised money to build a 106-foot sloop, the Clearwater, modeled on sailboats that plied the river in the 19th century, to educate children about the Hudson and its ecology. The consciousness-raising helped lead to the Clean Water Act of 1972, a federal assault on pollution...."
News | ISAF Sailing World Cup | Official Site : Patiently Tweeting...: "Whilst the sailors wait for the wind to fill in at ISAF Sailing World Cup Miami the sailors have taken to twitter to kill some time. We've picked up on a few to share..."
MOCR | ISAF Sailing World Cup Miami – Jan. 26 to Feb. 1, 2014: "Light Miami Monday January 27, 2014 Racing was set to get underway at ISAF Sailing World Cup Miami at 10:00 local time on Monday 27 January. However, the AP flag went up at 8:55 am due to insufficient wind on Biscayne Bay." Big week in Miami for 2016 Olympic sailing hopefuls - Outdoors - MiamiHerald.com: "... The 25th annual World Cup, formerly known as the Rolex, features the 10 Olympic and three Paralympic classes of boats slated to compete in Brazil in two years. More than 550 sailors from 50 countries have signed up for races that begin Monday and wind up Saturday. The event is the third of five — and the only one in North America — in the World Cup series. The fleet, laden with Olympians and world champions, will help select the members of the 2014 U.S. Sailing Team Sperry Top-Sider. The 2016 Olympic classes are: Laser (men); Laser Radial (women); Finn (men); men’s RS:X (windsurfing); women’s RS:X; 49er (men); 49er FX (women); men’s 470; women’s 470; and Nacra 17 (mixed multihull). The Paralympic classes for disabled sailors are: Sonar; 2.4mR; and SKUD-18...."
America's Cup regatta may not return to S.F. - SFGate: "... Russell Coutts, the CEO of America's Cup champion Oracle Team USA, said Saturday that sailing officials are talking with other venues about hosting the 35th America's Cup in August 2017 because San Francisco officials haven't offered the same terms as they did for last summer's regatta, which ended with the American syndicate staging one of the greatest comebacks in sports. Coutts said he's not prepared to rule out San Francisco as host of the next regatta. "They might have a change of heart. I don't think they will, but they might," Coutts said by phone from France..."
America's Cup May Not Return to San Francisco | NBC Bay Area: "The next America's Cup could be sailed off a Hawaiian beach, on San Diego Bay or in some other port instead of returning to a San Francisco Bay course bordered by the Golden Gate Bridge and Alcatraz Island. Russell Coutts, the CEO of America's Cup champion Oracle Team USA, told The Associated Press on Saturday that sailing officials are talking with other venues about hosting the 35th America's Cup in August 2017 because San Francisco officials haven't offered the same terms as they did for last summer's regatta, which ended with the American syndicate staging one of the greatest comebacks in sports." Quantum Racing Win At Key West Regatta « CBS Miami: "Amway President Doug DeVos and his Quantam Racing crew have won the 52 class at the Key West 2014 sailing regatta off the Florida Keys. Although DeVos could only muster a third-place finish during Friday’s 10th and final race, it was good enough to beat series runnerup Ran, skippered by Skype co-founder Niklas Zennstrom, racing under a Swedish flag. Last year’s winner, Italian-flagged Azzurra, co-owned by Argentinean pharmaceutical mogul Pablo Roemmers, won Friday, but finished third in the five-day competition...."
Russian team complete Extreme Sailing Series™ 2014 line-up: "Extreme Sailing Series™ organisers OC Sport, have today confirmed the eleventh team on the starting grid for the 2014 Stadium Racing tour as the first ever Russian Extreme 40 team. The team will make their debut alongside some of the world’s best known sailing teams and sailors including Groupama Team France, Emirates Team New Zealand, The Wave, Muscat and J.P. Morgan BAR. The 2014 Notice of Race allows up to 10 full teams with two wildcards at OC Sport discretion. With the Russians now in, plus several of the single event wildcards already confirmed, including Team Aberdeen Singapore for Act 1, the grid is pretty well full for the year... "
Mark Reynolds, member of the National Sailing Hall of Fame and Olympic champion, speaks with Bill Wagner at Quantum Key West 2014. 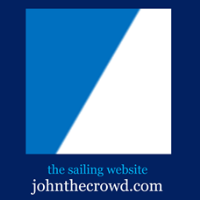 Mark discusses sailing a Swan 42, competition and his sailing activities. This interview was recorded on January 20, 2014 in Key West, Florida. St Lucia yacht murder: three men held over Roger Pratt's death 'cooperating' with police - Telegraph: "Three men arrested on suspicion of murdering a retired British businessman aboard his yacht are "cooperating with the investigation" and providing information to detectives, the head of St Lucia police said. Roger Pratt, 62, was murdered and his wife Margaret, 60, was injured when three robbers attacked their boat as it lay moored off the Caribbean island on Friday..."
Roger Pratt and his wife Margaret were more then six months into a dream round-the-world sailing trip, when tragedy struck last Friday night. Mr and Mrs Pratt, who metsailing in Norfolk, planned to return to the county once their dream voyage was over. High Profile Sailors To Take Part In Key West Regatta « CBS Miami: "...Amway President Doug DeVos will skipper Quantum Racing, the U.S.-flagged winner of the 2013 52 Super Series that comprises six annual regattas in Key West, Miami and Europe. Among Quantum’s noted crewmembers are tactician Terry Hutchinson, strategist Ed Baird and navigator Juan Vila. Skype co-founder Niklas Zennstrom’s Swedish-flagged sailing yacht Ran has Adrian Stead aboard as tactician...."
British man killed on yacht in St Lucia - Telegraph: "A British man on a year-long sailing trip to the Caribbean has been killed and his wife left injured after their yacht was attacked in St Lucia. Roger Pratt, 62, is understood to have been shot on a boat moored off the Vieux Fort coast as he defended his wife Margaret from robbers who had boarded the vessel. The couple, from Moreton Morrell, Warwickshire, who ran a financial consultancy firm together, were six months into a trip to celebrate Mrs Pratt’s 60th birthday when their yacht was attacked on Friday night, the Mail on Sunday reported..."
A bigger competition arena coupled with strong winds made for exciting racing at this year's Singapore Straits Regatta (SSR). The Zenith Sailing Team emerged victorious at the SB20 Asia Pacific Championship despite a strong challenge in the later stages. Although they had a tough day on the water holding off Tom Slade's Santa Cruz 52 – Renengade – and Mike and Alene Krimholtz's well-sailed British registered Dufour 38 – Dragon Magic – they are clearly enjoying the challenges of Caribbean sailing. In fact, it's been a good sailing week for Graney. In another close result he sailed Wedgewood into equal second place in race two of the SB20 Thursday twilight racing, just three seconds astern to the winning boat in a blanket finish between five SB20s. The Coast Guard rescued four people from a disabled sailboat approximately 300 miles east of Cape Henry. A boater onboard the 42-foot “Be Good Too” contacted Coast Guard watchstanders at 1:30 p.m. Monday reporting the boat was disabled and adrift. The boat had been traveling from New York to the British Virgin Islands. 4 Rescued From Disabled Sailboat in Atlantic - ABC News: "A Coast Guard helicopter crew hoisted four people from a disabled sailboat about 300 miles off Virginia's coast. The 42-foot Be Good Too was headed to the British Virgin Islands from New York when the crew contacted the Coast Guard on Monday. The Coast Guard says the crew reported that the sailboat was disabled and adrift...."
Premiere Racing, Inc. | Quantum Key West 2014: January 19 – 24, 2014: "Key West, Florida Keys - Quantum Key West 2014 is gearing up for its trademark full week of racing on the aqua-colored waters off the coast of the Conch Republic. From the professional-laden 52 Class to top tier club-oriented programs in the PHRF classes, this midwinter classic offers something for everyone..."
All three NZL Sailing Team Laser campaigners, and New Zealand's best up-and-comers, will be joined by top international competitors from Australia, Sweden, Ireland, Norway, Singapore, the Netherlands and Korea for the 2014 Oceanbridge Sail Auckland. Reaching and racing: Is the pendulum swinging back? ... of windless wilderness through the glassy seas around Malaysia, the Philippines and Indonesia could come as a shock to the 79 new crewmembers who might have thought they'd signed up for some breezy 'champagne' sailing across the world's oceans. Rolex Sydney to Hobart Yacht Race 2013: Day 4 Arrivals in Hobart - The Derwent River didn't relent with tough weather conditions for the yachts that arrived on Sunday, December 29. The weather fluctuated from bright sun to rain, stiff southerly breezes to extremely gusty conditions. Dale Lorimer was on the river and captured the final nautical miles of some of the fleet to Constitution Dock, including the dismasted Wedgetail that motored from the site of her dismasting off Tasman Island.